As the Environment Program has evolved in the context of the Foundation’s spend down, grantees and other field leaders have encouraged staff to say more about the program’s trajectory across the remaining years of grantmaking. This letter is the first of periodic updates to come; it seeks to convey background as well as describe program goals and approaches. The S. D. Bechtel, Jr. Foundation’s Environment Program is inspired by Stephen Bechtel, Jr. and his love of California’s outdoors. 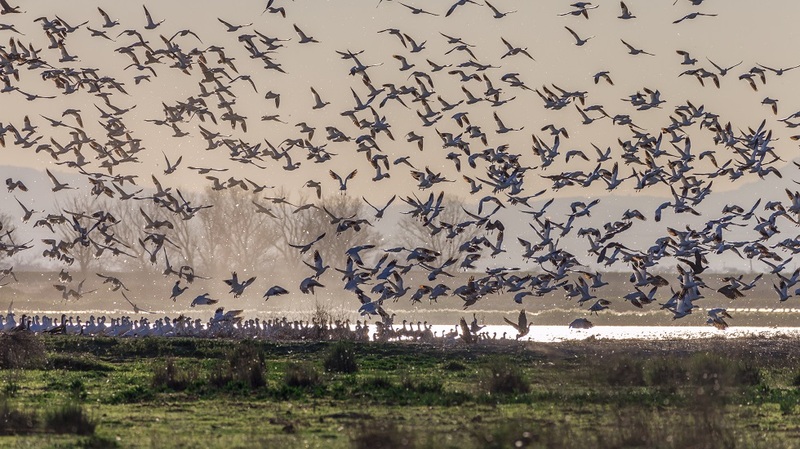 The Foundation’s early conservation grantmaking focused on supporting sustainable populations of migratory waterfowl and providing outdoor recreation opportunities to California’s communities. Looking back over the past 15 years, the Foundation’s strategies have evolved as we have learned from our work, uncovered new challenges, and seen progress made. One initiative that is currently coming to close had an outsized impact on the trajectory of the Foundation’s environment work. In 2002, the Foundation provided seed support for the California Conservation Fund, a charitable operating foundation established by Mr. Bechtel to support waterfowl habitat in California through the acquisition, restoration, and management of wetland and upland areas. The Foundation’s partnership with the California Conservation Fund yielded insight into the underlying dynamics of wetland and open space management in California. The Foundation became acutely aware that the decline of California’s wetlands is tied to water management, policies, and practices, and that the ongoing stewardship of land – even after it is protected – is a great challenge. The Environment Program is now focused on the systemic issues highlighted by the California Conservation Fund’s efforts, and works toward a California that manages, stewards, and conserves its water and land to support a resilient environment and economy. Given the juxtaposition of the long-term nature of the solutions we are advancing with the Foundation’s spend-down timeline, the Foundation’s Environment Program emphasizes capacity building across its various lines of work. In doing so, we take a broad view of capacity, working to reduce dependency on the Foundation while enhancing grantee resiliency as we work with partners to pursue ambitious goals. We are happy to share these snapshots, which briefly describe the goals, outcomes, approaches, and commitments to field building and learning for each of these lines of work. We hope you will be interested in receiving updates of our progress along the way.